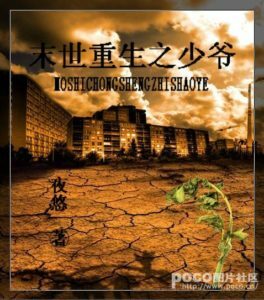 Back to the Apocalypse is a completed novel written by 夜悠 and consists of 130 + 3 epilogue chapters. It’s the beginning of the Apocalypse, and zombies are running rampant over the Earth. Next, I’m not good at introductions, so please forgive me. After dying a horrible death in the hands of researchers after the apocalypse, Bai Jing was reborn, bringing his hidden dimension with him as he went back to a time just before the meteorites had hit the Earth. Follow his journey as he reunites with his lover from the last life and join together to carve out their own space in the world after the apocalypse! note: xiin is only picking up this project from where it was dropped. older chapters on NU.